Welcome back fellow Steemians, it's that time of the week again, time for your weekly game review fix. A lot of the really awesome people I have made friends with here on Steemit over the last two years, live in some pretty epic places, and quiet a few of them are from much colder parts of the world. They get things like snow storms and ice storms and have to put special tires on their cars when the weather gets like this. Something I have never experienced, that's because down here in Africa this is not something that happens every now and again, well it never happens. We do have cold winters but nothing as insane as what I hear from @broncofan99 and @bozz, just to name the most resent chats I've had. Our average, really cold winter temperature ranges at about at about 10 degrees Celsius, which is peanuts compared to where they are, running in the -10's. Once a year we get a bit of snow fall, but only visible on the tippy top mountain peaks, and you have to take a three hour drive on a specific weekend in the year when it's at it's coldest to go see a thin layer of snow. In the spirit of all things winter and for those who are living in this icy wonderland, which is definitely not how they see it, I decided to follow suit and review a game that fits the occasion. That also not the only reason, this game also happens to be one of the free PlayStation Plus monthly games you get if you happen to be a subscriber. What's this free game you speak of? Well if you have a PlayStation you can subscribe to PS Plus, which allows you to play online with millions of other gamers or just with your friends. The added bonus is that each and every month the good folks ant PlayStation gives you two to three games, and you have those games for as long as you subscribe. So enough about the perks of being a die hard Sony fan, let's get to the game at hand. 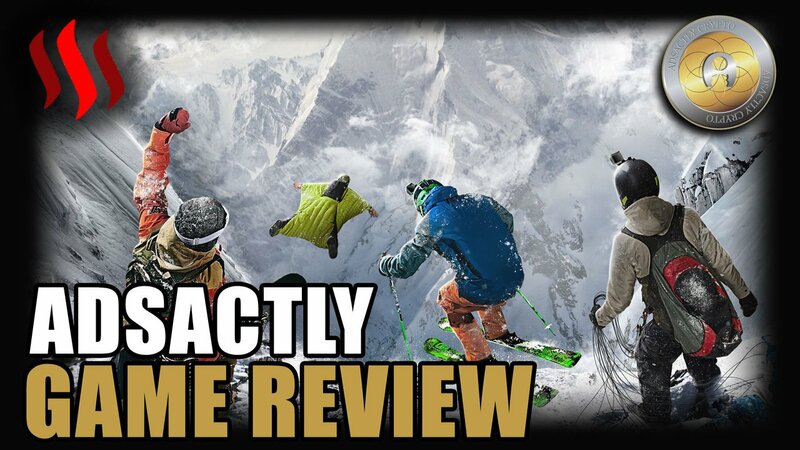 Steep is one of the most diverse and visually interesting open world games I’ve ever gotten lost in, and a huge part of it has definitely to do with just how foreign this kind of landscape is to me personally. 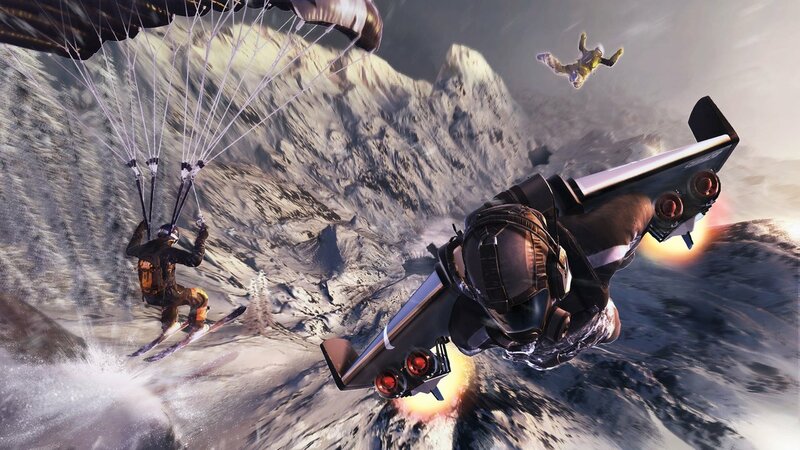 This is a extreme sports game, where you explore the massive frozen Alps by means of snowboarding, skis, paragliding, or insanely dangerous looking wingsuit. 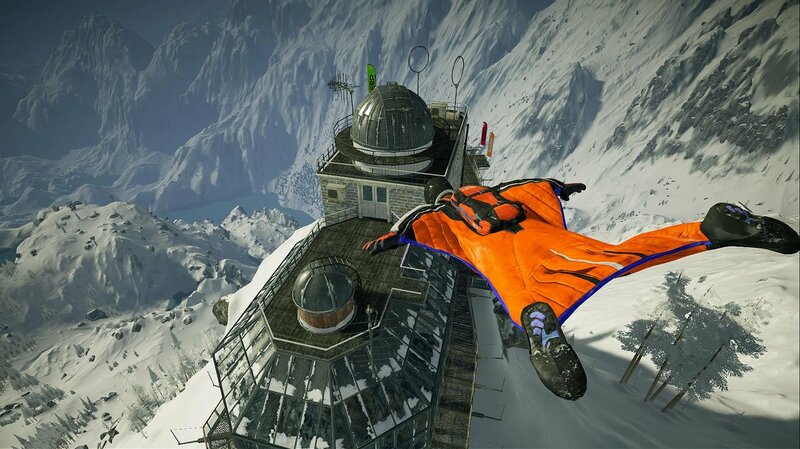 To think that people in real life go frying down mountains in a wingsuit only a few meters from the ground at break neck speeds, it's just way past crazy to me, I for one would never tease death like that. It's pretty exhilarating doing it in the game and I very much enjoyed it, but not after instantly killing myself a fair number of times. I couldn't stop thinking what insane wipe out, fail videos it would make for if it really happened, probably a bit too dark. 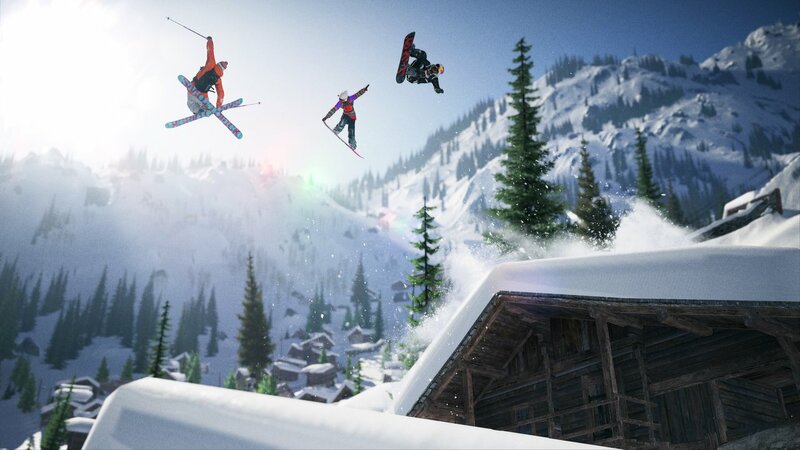 Steep is based around a “Play Your Way” philosophy, meaning you have full control and it feels much more free in the open world than the standard, pick a track and play. 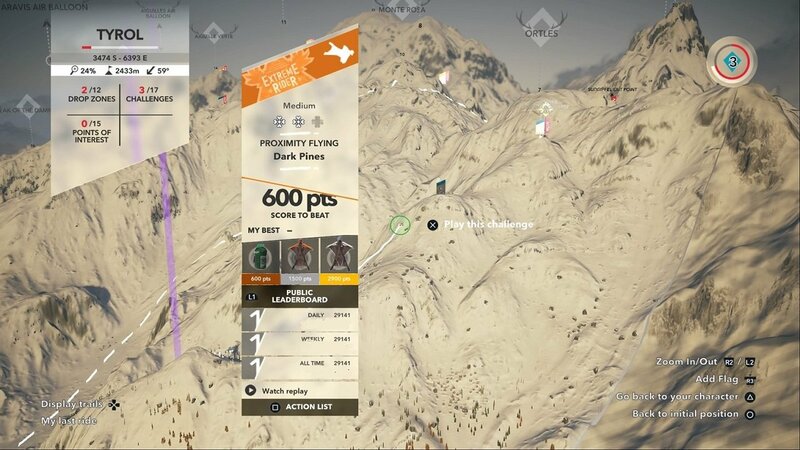 As with all games, it's all about getting experience points, which is done here through a number of different skill areas which helps you to level up and unlock new peaks. I ran into the problem of not spreading my XP over all the different play styles, as the paragliding was my least favorite, and as visually breathtaking as it was, it's rather slow and got a little boring. Which then meant, because I skipped it, to finish the game I had to go all the way back and do those paragliding challenges anyway. Steep is also just beautiful to look at, the Alps look gorgeous and the developers put incredible time into the smallest of details, like when you can see the trail from each individual ski and pole separately in the snow. I can only imagine what this must look like on a top of the line PC with all the bells and whistles and running the new RTX 2080. 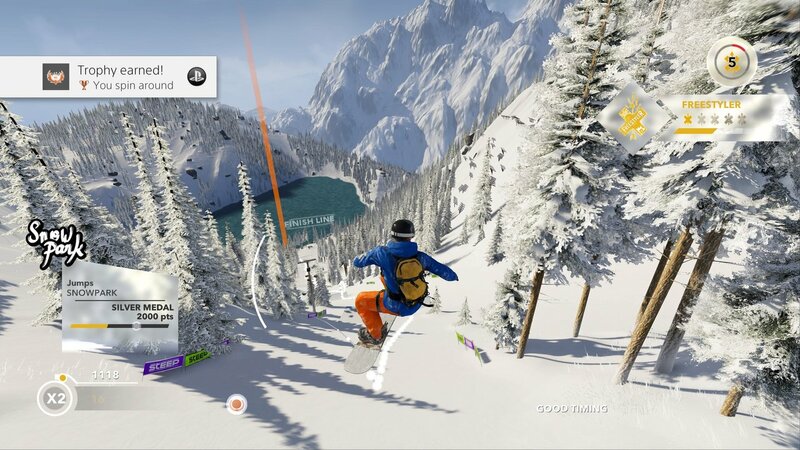 Steep is a great sports game, if you are into that kind of thing, and unfortunately it's just not my cup of tea. This goes for pretty much most sports games, and it's not something I would have gone out to buy, so the only reason I actually played this was just for you, who come and read my game reviews. But I actually really had fun and enjoyed the game, however there was a few thing missing in my humble opinion. The main element I really wished Steep had was a stat-based customization or progression for your character, which improves how you ride or to unlock trick abilities. The XP as it is currently only serves to unlock new areas, and yes there are loads of cosmetic items to unlock,but it felt limited in customization at the end of the day. When it comes to the maps, they are huge and stunning to look at, with every terrain types you can think of for such a setting, from jagged ice fields, gradual slopes, castle ruins, to quaint resort villages. All in all for someone out of their gaming comfort zone, I had fun from beginning to end with Steep. While there is basically no story line at all, it does kind of make up for it with special challenges called Mountain Stories that range from an baring down a ruined bobsled track, to hunting through a forest in search of a singing tree. 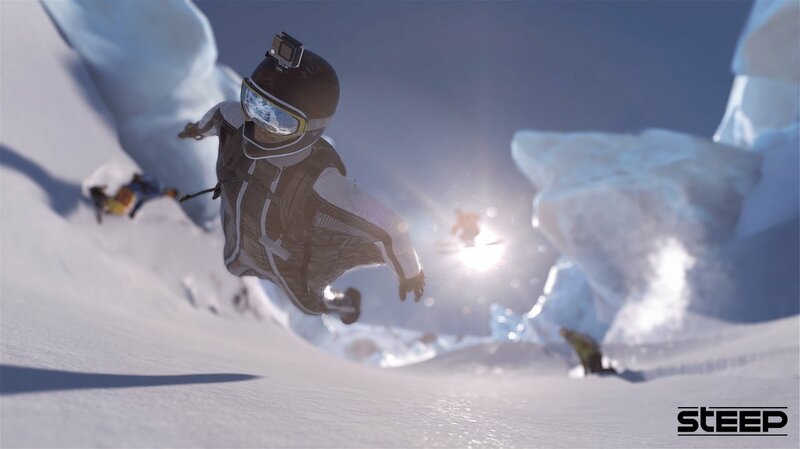 The introductory cutscenes you see when you unlock a new mountain peak was pretty awesome as well, and what would a sports game be without massive branding, and here Red Bull and GoPro take center stage. I would love to know what these brands paid for in game advertising these days. Steep is an extreme sports video game developed by the good folks at Ubisoft Annecy and published by Ubisoft. I was actually not aware that this Ubisoft studio existed, they keep popping up all over the place, but these developer at Ubisoft Annecy were responsible for games like Rayman 2: The Great Escape back in the day on PlayStation 2, as well as developed the multiplayer portion of many Ubisoft games, including the Tom Clancy's Splinter Cell series and the Assassin's Creed series. 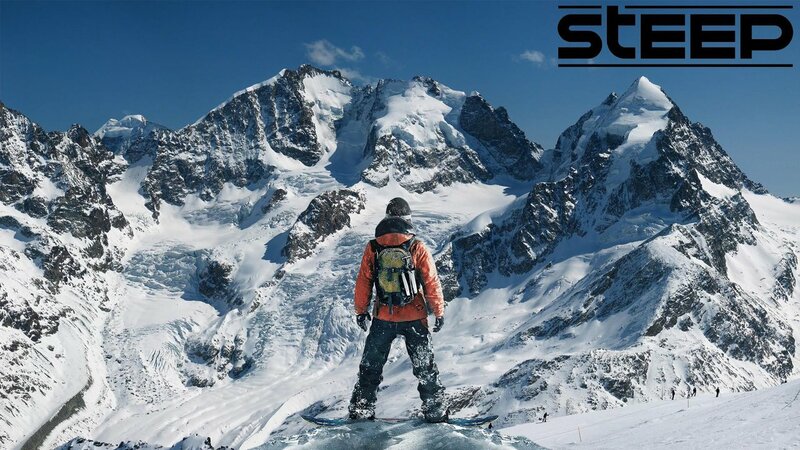 Steep was released worldwide in December 2016 for Microsoft Windows, PlayStation 4 and Xbox One, and a version for the Nintendo Switch was released late last year. If you have a PlayStation this is yours absolutely free, but make you go hit the download button before the end of the month. Also because this is a 2016 game, you could pick this up at your local game store or favorite only shop, probably for dirt cheap. A great game for those like me who never get to see real snow, now I can be virtually cold along with those going through it for real. Thanks for popping in, hope you liked the post. Please leave me your thoughts and or opinions in the comments below, have a beautiful day.